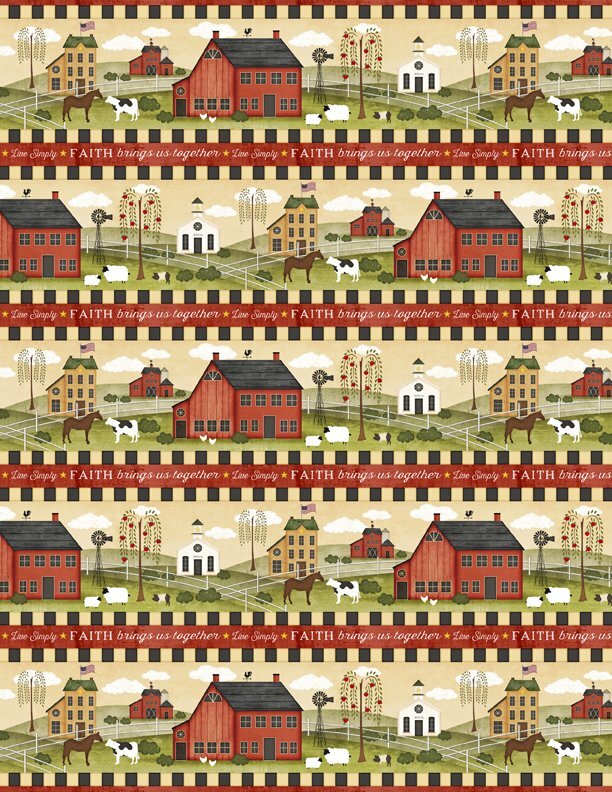 The Way Home border stripe featuring landscape with farmhouse and barns. Designed by Jennifer Pugh for Wilmington Prints. 44" wide. 100% cotton.